Mint is probably one of the better known apps out there in terms of finances, and I see why: It allows you to connect your bank account directly with the app, so all of your deposits and spending automatically update. 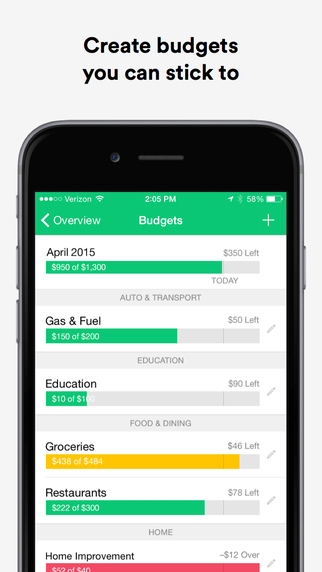 It also allows you to pay bills (including things like student loans) directly from the app. Hypothetically, this should help you avoid things like late fees or overdraft charges because things are organized all in the same place. 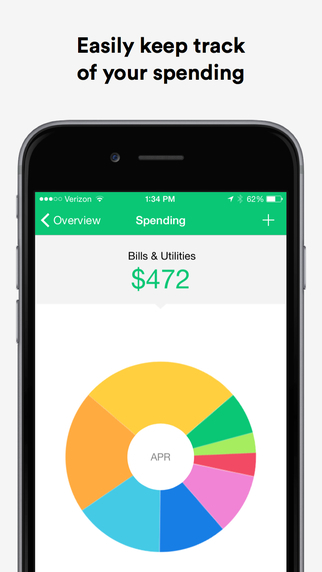 • A money manager app shouldn't cost you. 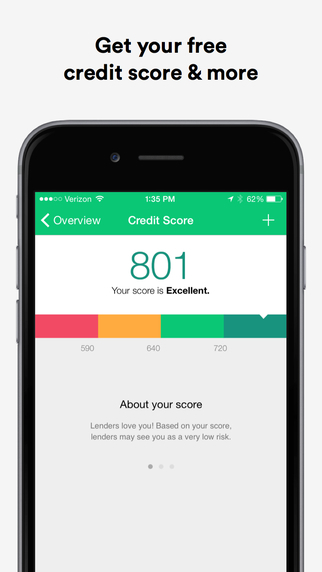 Install the free Mint app and easily sign up. Always have access to your account from your phone, tablet and the Web. Your information automatically syncs across devices so you have your latest account information at your fingertips.